This handmade leather journal has a unique rustic/antique design. It is a great writing book and comes with a secret pen holder and high-quality pen. The journal has 120 double sided sheets that measure 1.5 inches thick total. 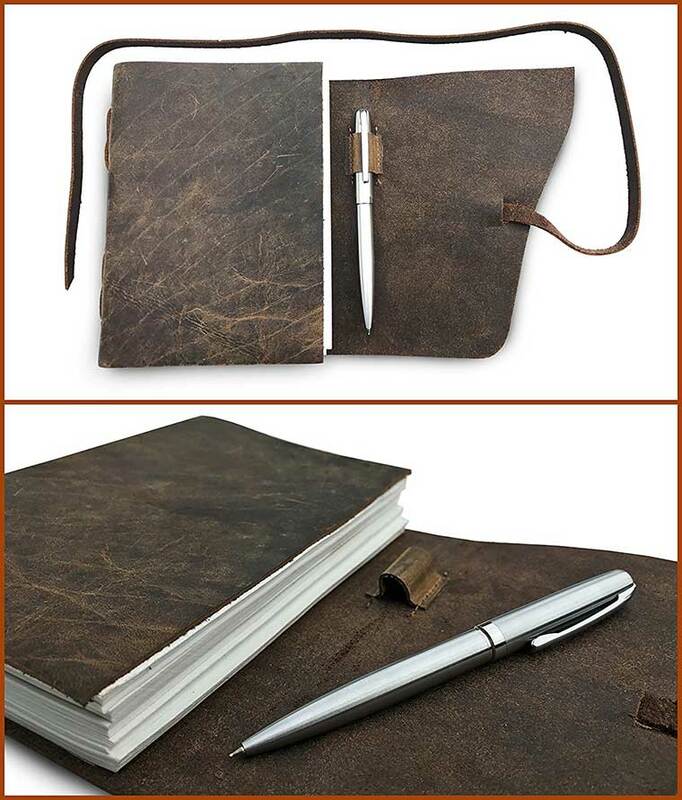 This rustic leather journal is a great gift for artsy people. It is well crafted and unique. It is made from genuine leather with that fresh leather scent. Scratches and folds just make this journal look better! You can choose from the 120 or 240-page journal. The pages a blank, so sketch artists can draw or write on them. It includes a great looking gift box. It makes an awesome Christmas present, birthday present, or anniversary present. The journal comes in varying sizes including 7.5 by 7.5 inches and 8 by 6 inches. 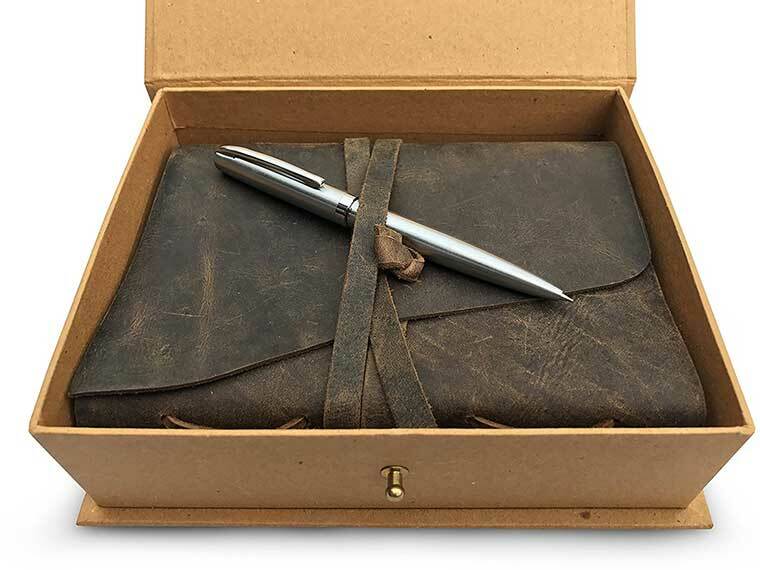 The inside of the leather case has a “secret pen holder” which is more like a hidden pen holder. A small feature, but also important because we all know how easy it is to lose a pen. The handmade leather journal has 120 sheets, which is 240 if you count both sides. If you’re looking for a genuine leather journal for yourself or to give as a gift this one is a home run. If you have comments or questions let us know below.